Welcome! 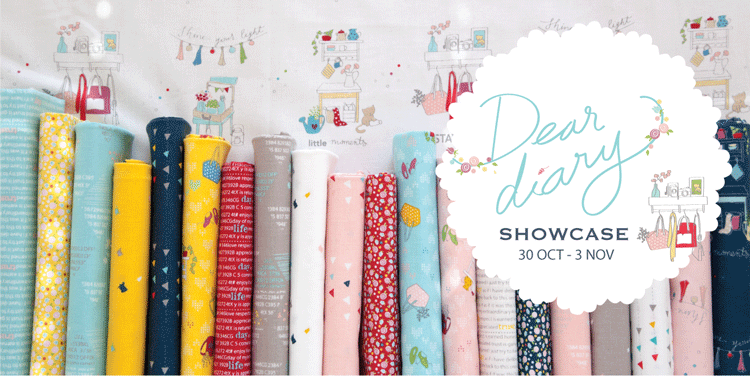 Today I get to share with you what I made as part of the Dear Diary fabric showcase. 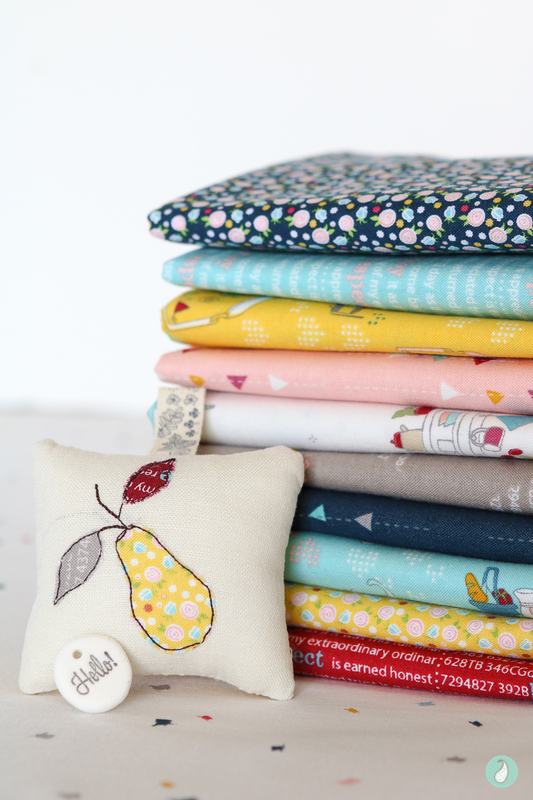 Dear Diary fabric is the debut collection by Minki Kim for Riley Blake Designs. When I think of Minki, I think of exquisite workmanship, beautiful photos and gorgeous sewing illustrations. She has a unique eye for design. Her adventurous creative spirit allows her to explore everyday life, and find the beauty in small moments. Her fabric collection is a lovely reflection of how Minki interprets the world around her. The complete collection contains 21 prints. 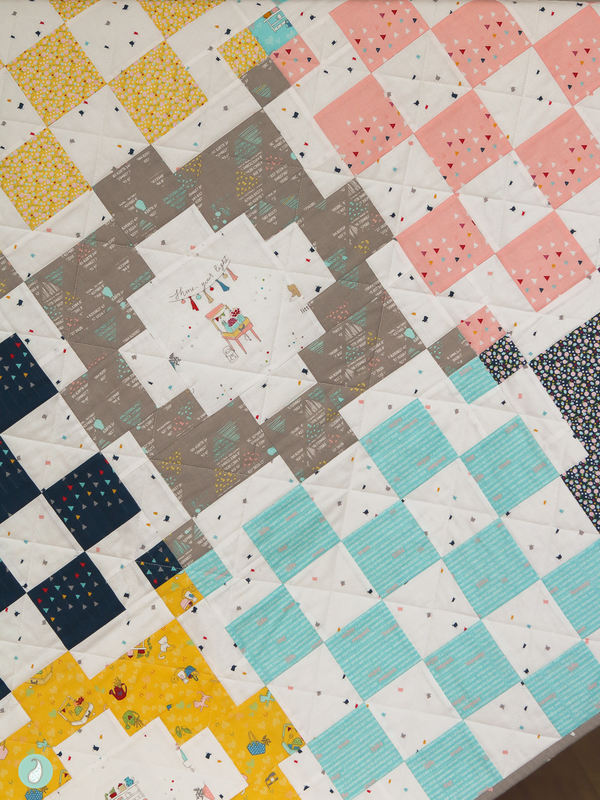 I chose to work with 12 and designed a sweet baby quilt perfect for any new addition. This quilt created a first for me in as much as it was the first time I have designed a quilt around a ‘fussy cut’ centre. The fabric collection contains a Main panel featuring Minki’s lovely original hand-drawn illustrations with three different background options – off-white, pink or blue. I chose to use the off-white and coordinated it with the Foxrain print, which makes for a gorgeous low volume background! Dear Diary fabric contains the primary red, yellow and navy blue hues, as well as saturated pink, grey and light blue. I used all of the hues in this quilt, but you could also create a striking project by only focusing on either the darker or lighter hues. Or, perhaps narrowing the palette further and creating a monochrome palette such as red and pink, or navy and blue; and using either grey or white (or both) as the neutral throughout. When it came time to quilt the top, I kept the quilting simple by stitching diagonal straight lines across the entire quilt. And to further emphasise the feature prints I stitched in the ditch around each feature print block. The quilt top finished at 45-1/2-inches square. As this is slightly larger than the width of the fabric in the collection, this meant that a single print backing would require two lengths of 1-1/2 yards to be joined. Since only a narrow strip of that second length would be used, (creating a lot of leftover fabric), I chose to piece together a contrast feature strip that I inserted into a single 1-1/2 yard piece of Doodle Gray fabric instead. This gave the required width necessary for machine quilting, but was a little more economical. 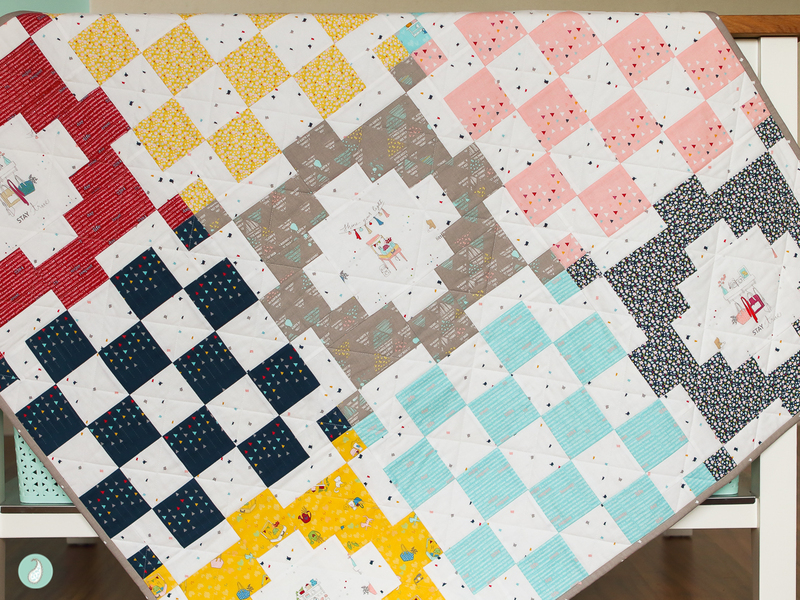 Would you like to make your own Dear Diary quilt? If you drop by the blog next week I will share how I made the first block, and the second block the week after :). 3 yards (2.75m) BACKING fabric (or see my tip above for a more economical option ;). ETA – Giveaway now closed. 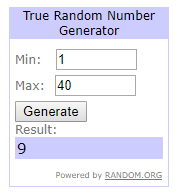 Congratulations to Andrea M, who was comment number 9! I hope you enjoyed seeing what I made with Dear Diary, and feel inspired to make something cute with this new collection today :). Dear Diary fabric is available now. Thank you to Minki and RBD for including me in the showcase line-up; it’s been fun! It is a gorgeous quilt! I love the fussy cut centres – I love the panel of her drawings!! I love this! Especially that the fussy cut blocks alternate with the other blocks. Now I need to find someone who is having a baby so I can make one! As always-I loved your pieced back!! Love your solution for the backing! I am going to have to try that soon. Also love the fussy cut ceners!They are adorable! I love your baby quilt. Minki Kim’s designs are adorable, it’s hard to believe it her debut collection. Thanks for sharing. This is adorable! I love the colors of the fabric with the pattern, it just pops out at you! Lovely quilt, and I love both this post and this fabric line. Thanks for sharing! I love this quilt and Dear Diary is the perfect fabric for it. WOW! 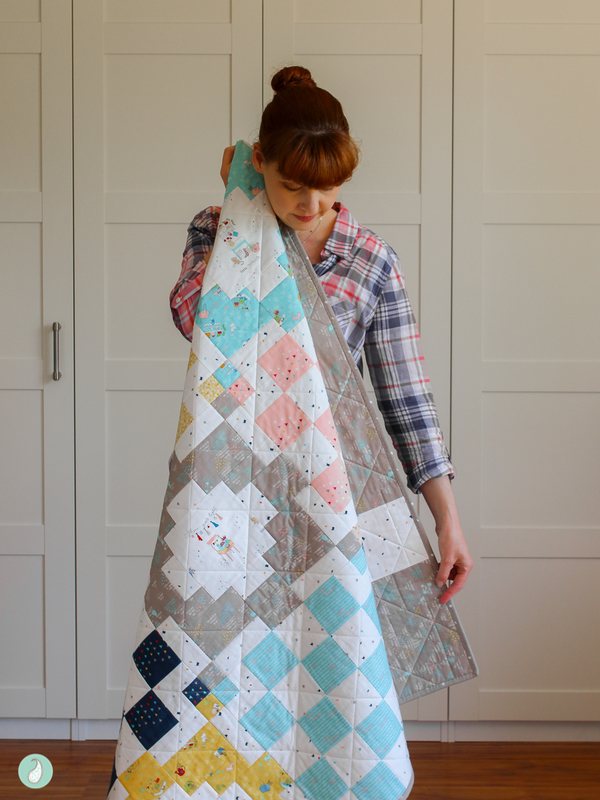 Love the fabric and your quilt! Well done!! 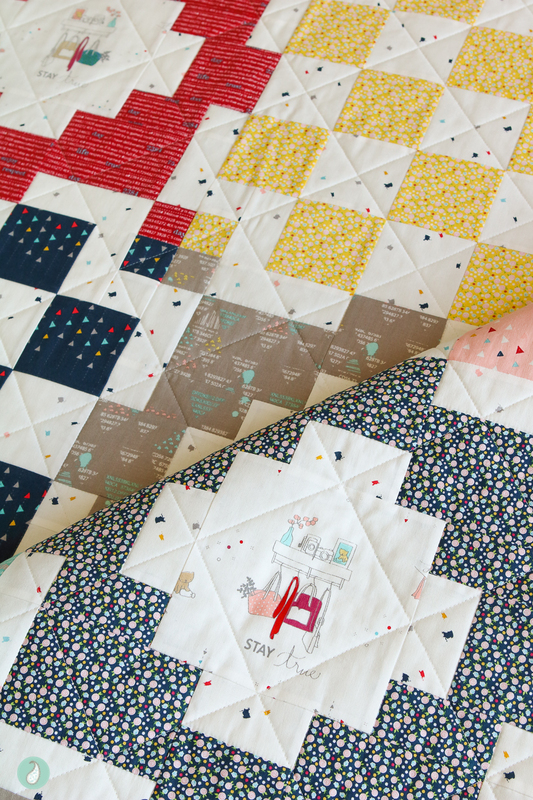 The quilt is gorgeous, and I love the fussy cut blocks! I just love your quilt! It is perfect and the fussy cut centers just make me want to swoon! It looks like I’ll have to go fabric shopping! Thanks for sharing your pattern, too! Such a sweet quilt! You do tell a good story of Dear Diary. Your quilt is gorgeous. Thanks for sharing the pattern. I love the colours and the fussy cutting. Its a very nice quilt. I love this pattern! This is a beautiful quilt! Such a wonderful Quilt! I woud love to make one myself! 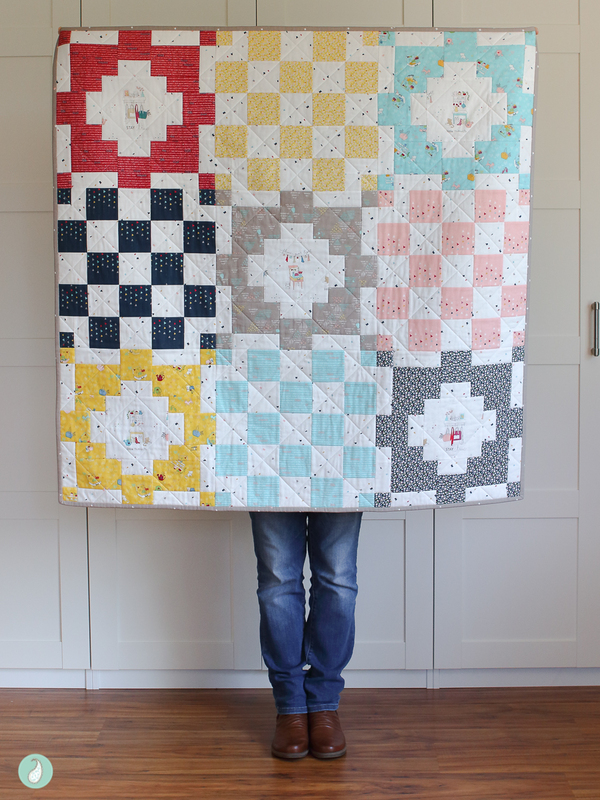 This is such a beautiful quilt – I must put this on my to do list! What a nice fabric collection! Your quilt pattern is really interesting! This quilt is adorable! I’ve added it to my “must make” list! Thanks for sharing! This is so pretty I adore the color palette of this new line! 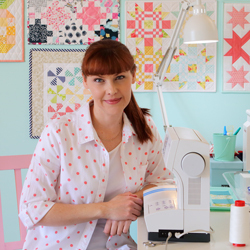 I love your quilt pattern and I can’t wait for the block tutorials in the coming weeks. Such an adorable quilt. I look forward to the pattern. Thanks for sharing. 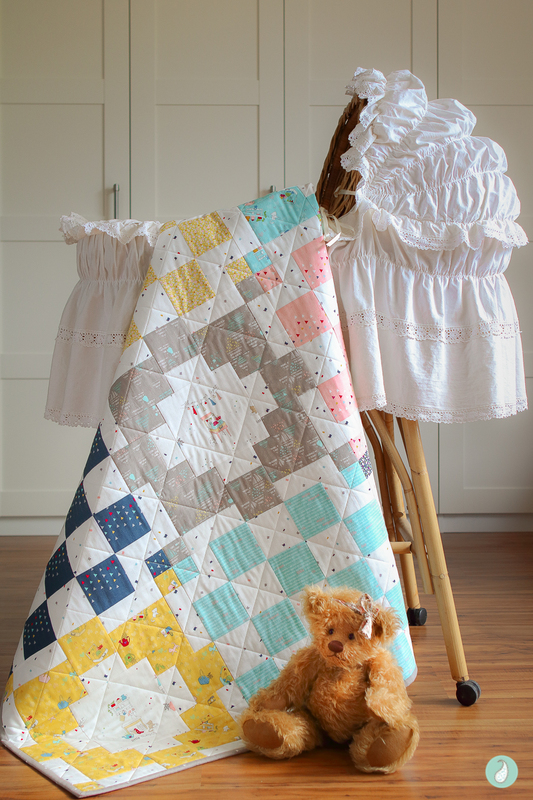 Beautiful choice of fabrics and great blocks. Love the fussy cutting. This line is adorable! 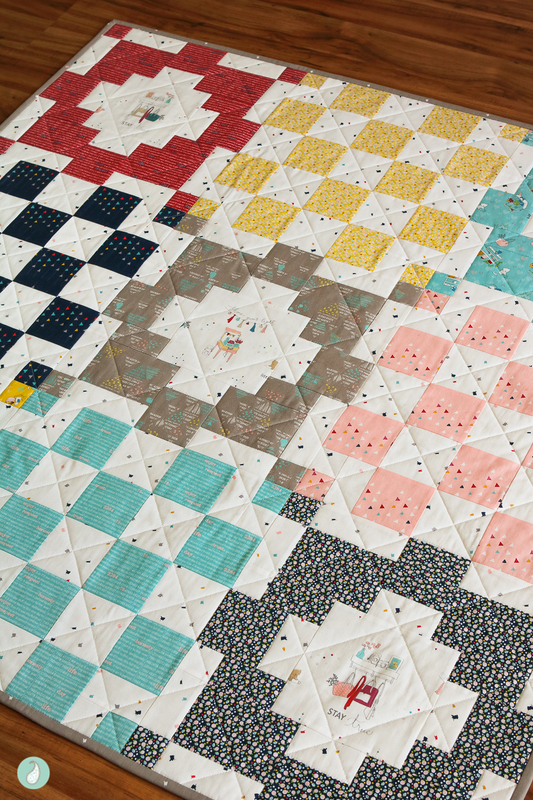 I love the range of colors- your quilt is lovely and shows the fabrics so nicely. Great quilt! It really reflect the freshness of the fabric collection! Love the fabric and your quilt! Can’t wait to make one! I hope to find time to make your quilt soon! I love it! Wow! 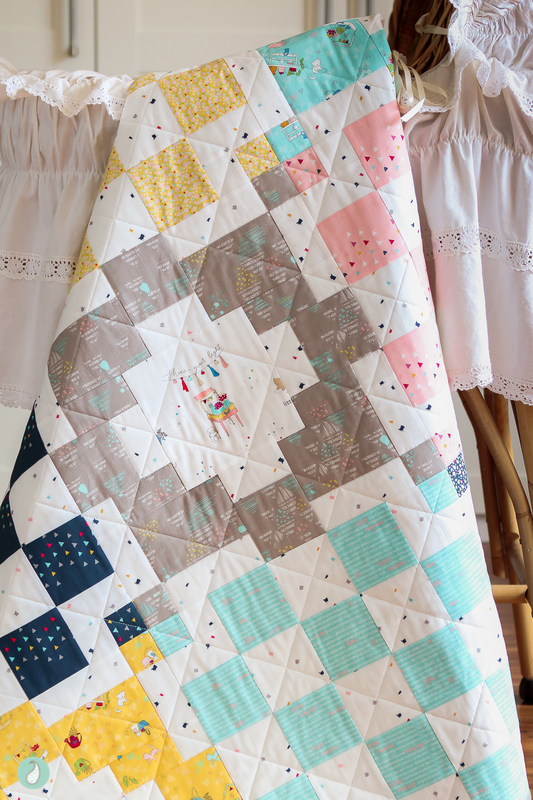 This baby quilt is gorgeous!!! I’ll definitely be following along to make one of these. 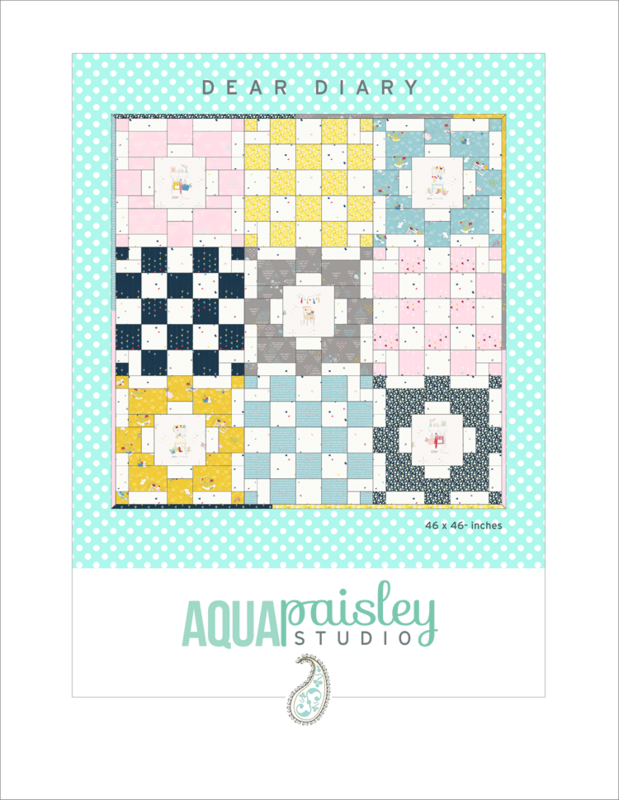 I have two babies in need of a darling quilt and this pattern is perfect ! 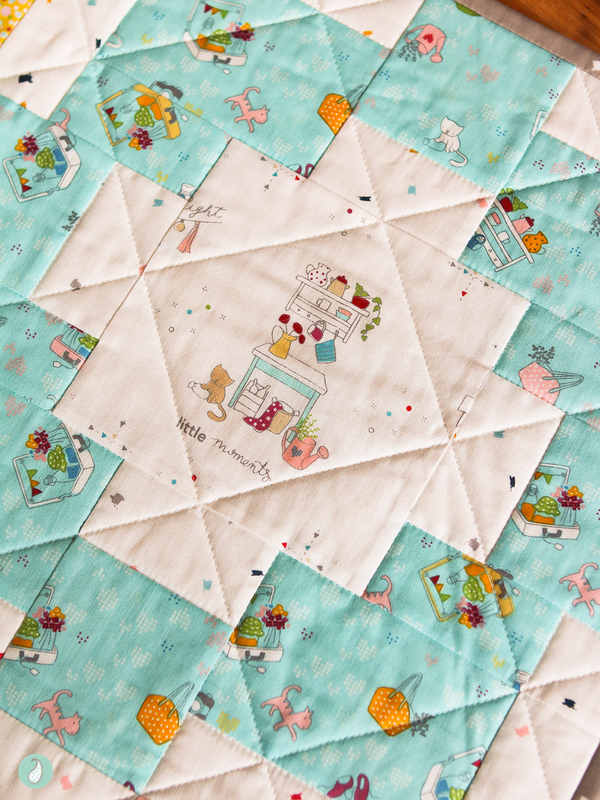 What an adorable fabric line and your quilt is so beautiful. I can’t wait to make my own! Thank you!